Phil Wickham has one of the best singing voices I have heard in the modern praise and worship scene, and his songs have better melodies than most of today's popular choruses. In my previous posts I have written about using balanced worship sets and the balance of truth and emotion in musical worship. Some songs are filled with gospel truth but are lacking emotional melodic accompaniment. Other (most) songs are emotionally catchy but lack depth of lyrical content. Wickham's songs, such as "I Adore You", "Mystery", and "Grace", bring a good balance to the truth/emotion spectrum. 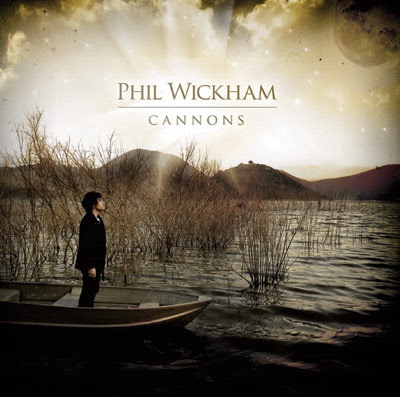 In his new album, "Cannons", Wickham shares with us a modern hymn titled "You're Beautiful". I wanted to mention this particular song as an example of what I look for; a strong melody that effectively accompanies truthful words. The song consists of four verses, the first two recognizing God in the light of day and His power in the stars at night. In the last two verses Phil tells the story of Christ's redemption, sharing the truth of His suffering, death, burial, resurrection and ascension in verse three, and painting a beautiful picture of the hope to come in verse four, when "death is just a memory and tears are no more", and we are united with Christ. Here are the lyrics, and at itunes you can preview and purchase the song. There are so many exciting things happening in my life right now, I don't have time to read. 1. God has led me into a pastoral position at River Valley Church in Mishawaka, IN (South Bend area). My family will be moving October 24th, and I will begin my new job as Associate Pastor of Worship October 26th. We are wrapping things up here in the northern suburbs of Chicago, where we have lived for the past three and a half years. We will miss our friends dearly, especially our church family at Trinity Community Church. 2. We are trying to sell our house, and we are in the process of buying a new home in Granger, IN. We haven't even begun packing, and we're moving in less than two weeks. Please pray that our house in Gurnee, IL sells quickly. I initially called State Farm Claims Center the day of the theft, and the lady I was talking too was trying to label my claim as a business loss instead of a personal loss. The difference is huge, for if it is a business loss, I can only collect up to $1,000, but if it is a personal loss, my items will be entirely replaced (over $5,000 appreciated value). I told the claims lady I wanted to talk this over with my agent before proceeding with the claim. My agent assured me this is a personal loss and not business related for a few reasons: Even though I use my guitar as a paid worship leader, a) the guitar was originally purchased six years ago, and I was given complete ownership, b) I specifically listed the guitar on my home owner's policy two and a half years ago as my possession, while I was not in a paid position, and c) I was not getting paid for leading worship in Mishawaka, IN during the trip when the guitar was stolen. I tried the next couple days to contact the claims lady to give her this information, but we kept missing each other. Finally, I asked to speak with someone else about my claim. A guy named Andy picked up the phone and asked what I needed. I told him I wanted to proceed with the claim. He said, "Okay, give me a couple minutes as I review the notes." While he was reading he made frequent audible sighs and moans. When he finished he said, "Man, I feel your pain. I am a worship leader and play a Breedlove guitar." He told me that technically, by the book, it is a business related loss. "But," he said, "Let me talk with my managers and see what I can do for you." He called me a few minutes later with the good news that they will be filing it as a personal loss, so I will be getting full replacement. Praise God. Now, what kind of guitar should I get? I may be limited to State Farm's contracted vendors. Despite all of this craziness, I did have a few moments yesterday to read Proverbs 10 and Psalms 46-50 over a delicious pumpkin spice latte. I look forward to settling down and picking up a book once again. On Wednesday evening, September 12th, my wife and I attended a worship roundtable discussion at Judson University in Elgin, IL. Several worship leaders and students got down to the "neety greety" as Judson's Chapel Director and Worship Arts Professor, Warren Anderson, facilitated the conversation. It was great to hear of how God is working in churches around Chicago through worship ministries of many denominations. In meetings like this I always leave with a greater passion for worship ministry, greater motivation, greater knowledge, and more creative ideas to implement into my own worship practice. Before we left, Warren asked each of us to name two of the most influential books in our lives of worship. Below is the list. Enjoy! Torrance, James. Worship Community and the Triune God of Grace. Webber, Robert. Planning Blended Worship. Noland, Rory. The Heart of the Artist. Morgan, Tony, and Tim Stevens. Simply Strategic Volunteers. Redman, Matt. The Unquenchable Worshipper. Tozer, A.W. The Knowledge of the Holy. Webber, Robert, ed. The Complete Library of Christian Worship. Henderson, Jim, and Matt Casper. Jim and Casper Go to Church. Ravenhill, Leonard. Why Revival Tarries. Every other month Worship Leader Magazine releases a compilation album of twelve to fifteen new songs that subscribers can use as a resource for their worship ministries. A worship pastor friend, recently received Song DISCovery Volume 64 and surprised me with the news that "Christ Is Exalted" is track 2. What an honor it is for so many to be blessed and to be given the opportunity to respond to God's word through this song. Click here if you would like to subscribe to Song DISCovery. Click here to listen to "Christ Is Exalted."